LEWISTON — Bob Brainerd was in the room last August when more than two dozen community members implored St. Mary’s Health System to keep HealthSteps. They said Lewiston-Auburn desperately needed the fitness program and its exercise classes. 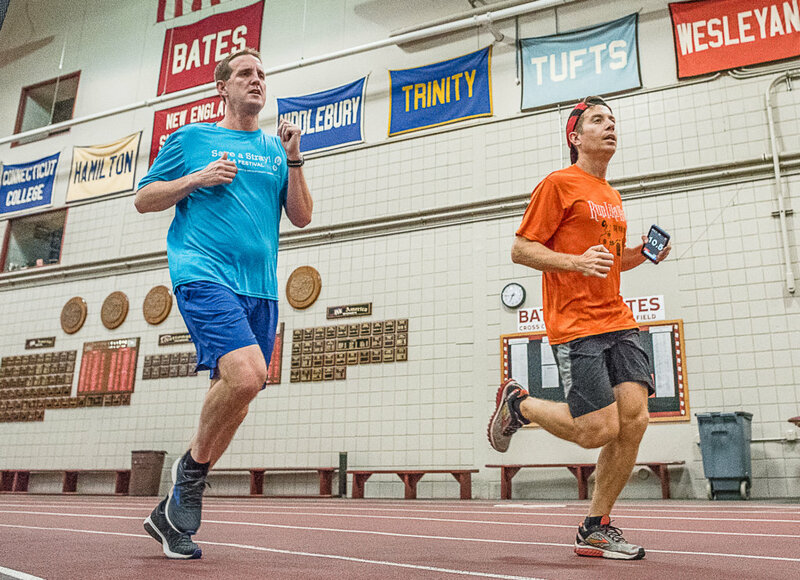 They said HealthSteps provided the only way most people could use Bates College’s indoor track, tennis courts and other fitness facilities that weren’t available elsewhere in the area. They worried about having to choose between exercising outside in the winter and becoming sedentary. St. Mary’s leaders didn’t change their minds, and the program ended in August. But Brainerd, co-owner of the Central Maine Conditioning Clinic in Auburn and founder of the nonprofit Moving ME Forward, decided it didn’t have to go for good. 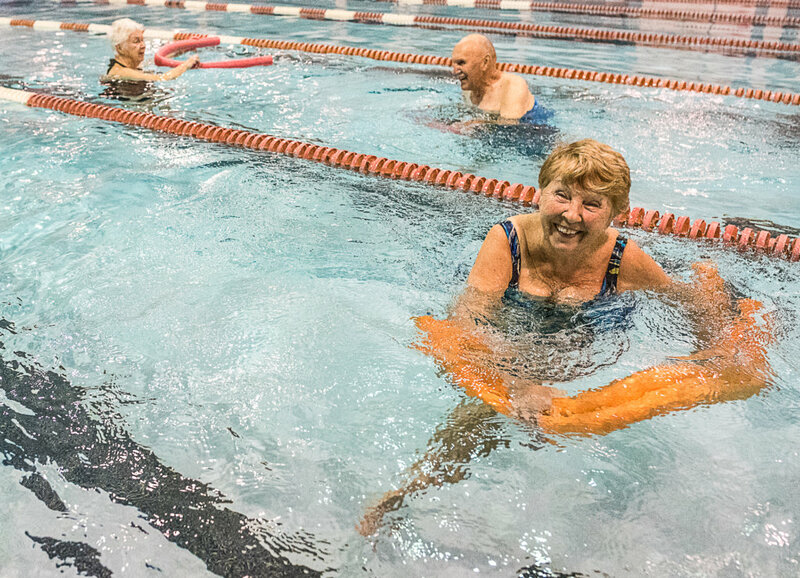 With help from Bates College, he has created Moving ME Forward Fitness Friends @ Bates, a community program very similar to HealthSteps, down to the morning tennis matches and exercise classes in the pool. “My goal is always to find a way to give back to the community. For me it was a no-brainer,” he said. HealthSteps started more than 30 years ago. In recent years, classes typically met at St. Mary’s Regional Medical Center in Lewiston or at Bates College’s Merrill Gymnasium. 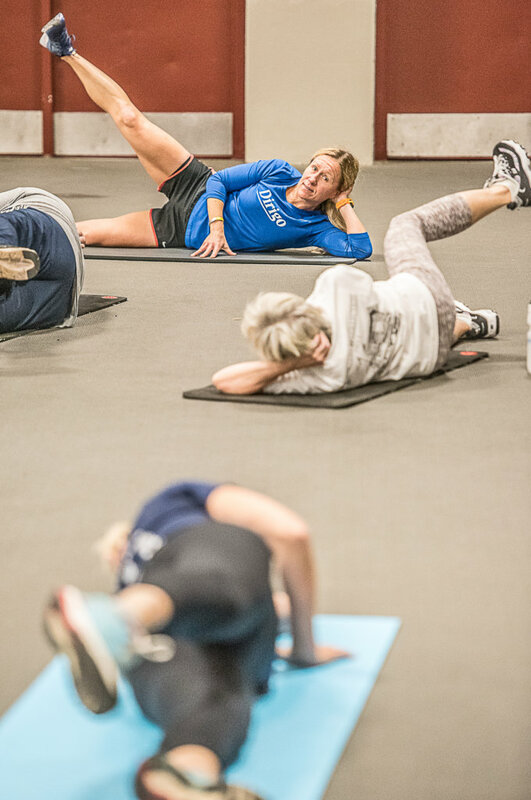 Classes and activities varied season to season but often included yoga, jogging, swimming and least one class focused on senior fitness. HealthSteps inspired fervent loyalty among its members. In 2014, St. Mary’s decided to shut down the program, but members banded together to protest. Their outcry saved it for a time. But this summer, St. Mary’s announced it was ending HealthSteps for good because there were not enough participants. St. Mary’s scheduled two “listening sessions” in August so members could ask questions and express their thoughts about the closure. At the first of those meetings, Brainerd stood in the back as members suggested ways to make the program more viable and asked the hospital system to reverse its decision. Brainerd, for his part, didn’t blame St. Mary’s. After that meeting, Brainerd waited a couple of weeks “to let the dust settle” and then approached Bates. 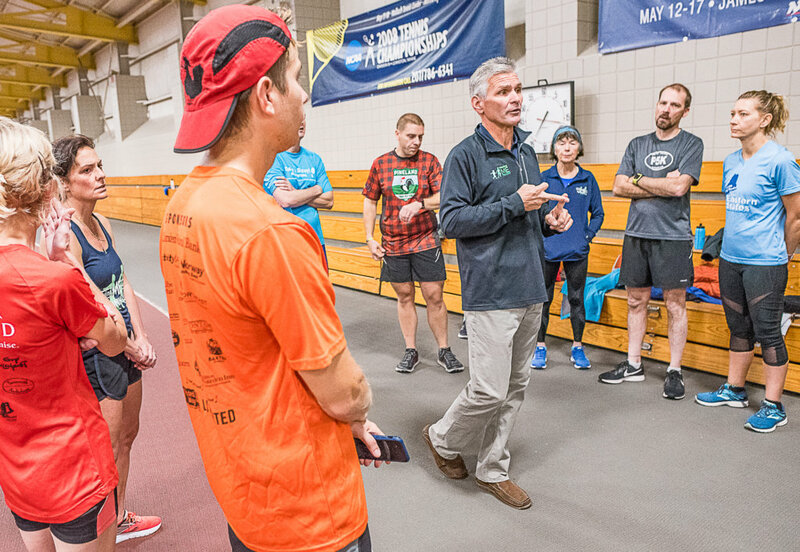 He had years of experience with fitness programs, first for his business, Central Maine Conditioning Clinic, then for his nonprofit, Moving ME Forward, which provides Central Maine Community College fitness students with mentors and training. But if the college said no to letting people use its facilities, he said, “that made it simple.” There would be no way to recreate HealthSteps. Bates would provide the facilities. Brainerd would handle the logistics and supply liability insurance and instructors. Students from his Moving ME Forward college partnership would also be involved, providing them with real-world experience. “This was a nice little fit,” Brainerd said. Old HealthSteps members started signing up as soon as they heard about it. Pretty soon there were more than 60 participants, three times the number who had joined the HealthSteps’ session this summer. Classes and activities started last week. While not every HealthSteps class was replicated, the core ones were. “More or less, everybody had something they could latch on to and say, ‘Yeah, that’s a source of exercise in the winter I would like to do,” said former HealthSteps member Gregory D’Augustine. He didn’t have to look too hard for something to “latch on to” himself. 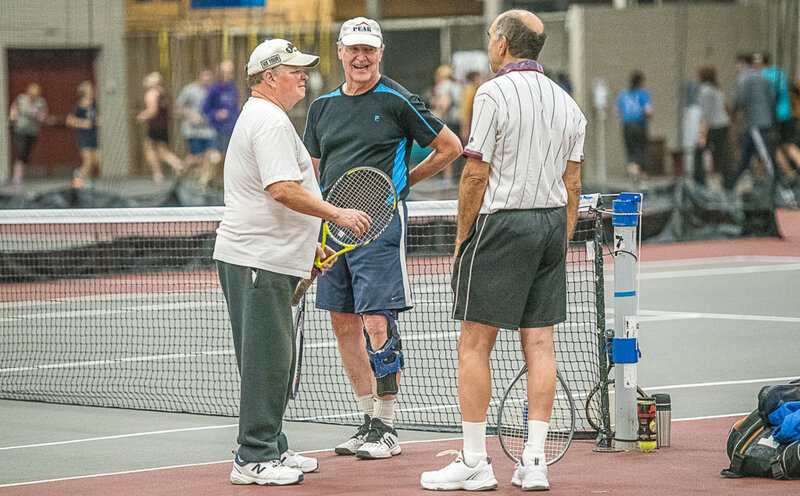 D’Augustine played indoor tennis under HealthSteps and is still playing under the new program. He’s thrilled he could stay at Bates. While HealthSteps used to run year-round, the new program will run only from October to the end of April, the months when indoor exercise is most needed in Maine. Activities are held Monday, Wednesday and Friday. While most activities are offered in the morning, pool access is also available from 1 to 2 p.m. Participants pay $10 a week, which includes passes for group exercise programs at Central Maine Community College. People can sign up now. Because Brainerd established the new program through his nonprofit, he said, it doesn’t have to make money. It doesn’t look like it will have any problem breaking even. That bodes well for the future. “I can see this thing growing,” Brainerd said. He plans to create an advisory board filled with members from each activity so he can get feedback on the program and any changes members feel are needed. “Really what I want to do is get the people that were here using it before (to be) happy,” he said.